We work with groups of any size. We will be able to get you exclusive discounts in hotels, golf courses and services, restaurants, and sports events. We are fluent in English, French and German. We will help the group throughout the whole trip in Madrid. We have over 15 years of experience organizing golf events. 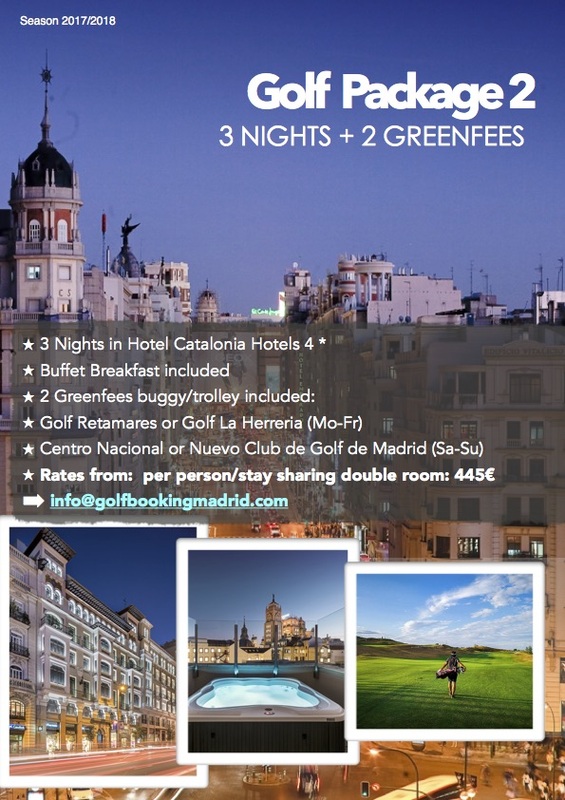 We know how to meet the golfers needs and we hope to exceed your expectations by providing you with the best golf vacation in the city. Number of players and non players. Services required as hotel, transfers, golf, tours, etc..
Greenfee bookings for individual players and groups at the top golf courses. Transportation: Leave your car at home. We will take care of all your transportation needs. 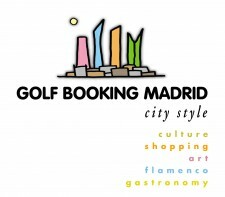 We will pick you up at the airport, take you to your golf courses from the hotel in a comfortable and hassle-free way. We will provide you with the best golf equipment. 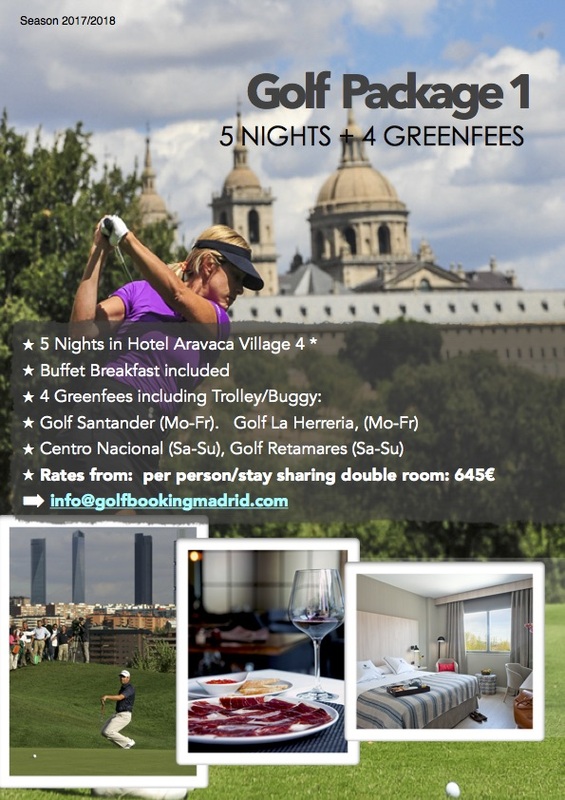 We will give it to you at your hotel or at the course, whatever it´s more convenient for you. We can book tickets for Real Madrid and Atletico de Madrid. You can watch the best games of the season at VIP seating. Madrid also holds some top events in Tennis (Master series), Basketball among others that you can enjoy while you are here. Restaurants, Madrid Cultural, Shopping, etc… Madrid shopping is so much fun because there are so many different styles to choose from in each district. There are five areas to head for if you are shopping here: Salamanca, Chueca, Sol, Princesa and Cuatro Caminos. Each area is suitable for different tastes and budgets. 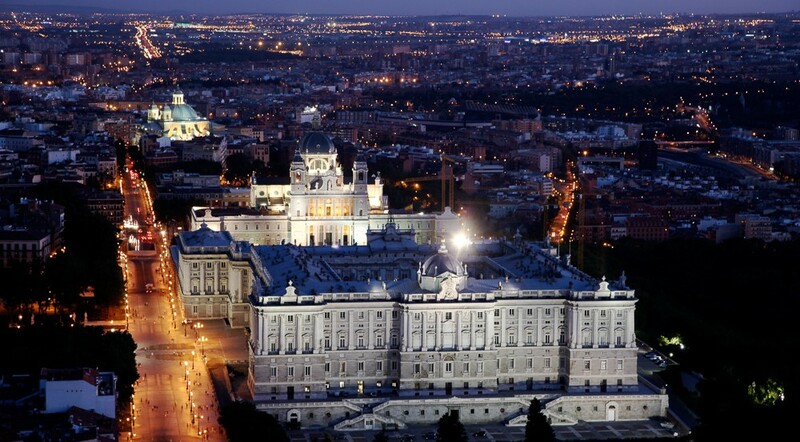 In Madrid, gastronomy is part of our culture. There is a range of culinary types available: from traditional homemade dishes to the most innovative and creative cuisine. Contact us if you required any assistance in booking restaurants, especially for groups.